BUFFALO, N.Y. – Your daily driving strategy is always influenced by weather. Car accident attorneys in Buffalo say if it’s a clear and warm day, you’re more relaxed and likely to drive faster. In the cold winter months, you may avoid the roads altogether. Sometimes, the weather may be so bad that local governments may issue driving bans. 8. High Winds. Windy days can make a very uncomfortable commute. In areas with high wind gusts, the weather has been known to ‘push’ vehicles off the roadway, especially larger vehicles like tractor-trailers. Many wind gusts can come out of nowhere, too. You don’t have to be under a tornado warning or hurricane watch to experience damaging winds. 7. Fog. Thick clouds of tiny water droplets suspended in the atmosphere near ground level can drastically reduce visibility for drivers. Fog causes over 25,000 crashes each year on average, according to the U.S. Department of Transportation. It’s important to avoid using high-beams in this weather, as it can obstruct your visibility even more. 6. Wintry Mix. When winter weather rolls into your area, it’s best to stay off the roads! Over 42,000 drivers and passengers are injured each year attempting to navigate through the first snowfall, or slushy roads. In most of these crashes, speed also played a role – so, slow down! 5. Black Ice. The dreaded icy road. If you’ve ever driven over black ice, you know how dangerous it is. What’s worse; you can’t see it until you’re already on top of it. Icy pavement is responsible for 3% of all motor vehicle crashes, and it’s often unavoidable. Car accident attorneys in Buffalo say drivers should slow down when temperatures are cold enough for ice to form. 4. Snow. These cold white flakes of frozen water cause over 200,000 car accidents each winter. In addition, this type of weather is responsible for nearly 55,000 injuries to drivers and passengers every year. Snow is no fun to drive in, and these weather systems can change road conditions in a snap! If you’re caught sliding on a snowy road, pump the breaks! Repeatedly pumping the breaks is a proven method of stopping your vehicle if you’re sliding on snow or ice. 3. Rain. If you think driving in snow is bad, rain is even worse. Heavy rains can drastically reduce your visibility, making it one of the most dangerous weather conditions to be driving in. Unlike snow, every area of the country experiences heavy rains at least a few times each year. These are some of the reasons why over 212,000 people were injured while traveling in rainy weather this past year. 2. Wet Pavement. After a heavy rain, many people mistakenly believe the roads will be safer. Wrong! Rain causes flooding; from minor puddles to major floods that can turn roadways into rivers, driving in these areas can put lives at risk. Making up 15% of all motor vehicle crashes, the stopping distance on wet pavement is much longer than on dry pavement. Many drivers may think it’s okay to drive faster when it’s clear out, but if the roads are still wet, this behavior can easily cause an accident. on called a “sun glare.” This most often occurs in the early mornings or late afternoons when the sun is near the horizon, blinding drivers heading east or west. The Buffalo car accident lawyers at Cellino & Barnes say the best tip to avoid an accident in any of these weather conditions is to slow down. Speed limits are relative, and drivers have a responsibility to adjust their driving habits as the weather changes. Weather may influence the way we drive, but it’s never an excuse. Each driver has a duty to always maintain control of their vehicle, no matter what the conditions are like outside. 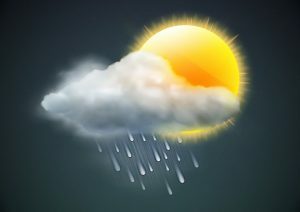 If you’ve been injured by a negligent driver, remember: they are responsible for your accident, not the weather. Because of their mistake, you may be racking-up expensive medical bills, lost time at work, additional transportation costs, and more. Cellino & Barnes has helped thousands of car accident victims get compensation to help pay for these costs, and more… and we could help you too! Give us a call any time (day or night), for a FREE case evaluation. NEW YORK – Distractions for New York drivers are seemingly endless. Busy Brooklyn residents resort to having breakfast, applying makeup, and holding important conversations behind the wheel. Sometimes, those conversations take place via text messages and lead to a car crash. Texting is strictly forbidden under New York Traffic law, meaning that a distracted driver caught texting could face penalties. 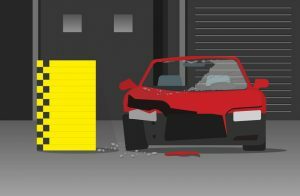 In the event that you were hurt due to a distracted driver striking your car, you may hold that driver liable for your accident and related damages. 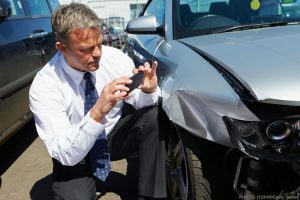 To ensure all goes smoothly with your car accident case, take these measures as soon as possible after your texting and driving accident in Brooklyn. Seek medical care. If you were hurt because of an accident, it’s important to establish a medical record. Failing to seek medical care will demonstrate to the liable party’s insurance company that the effects of the accident were negligible. 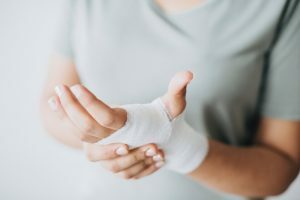 Keeping all your medical records will serve as proof of your medical bills, which are among the easiest damages to prove in a car accident case. Obtain witness statements. Car accident victims in Brooklyn must be able to prove that the liable party caused the accident. 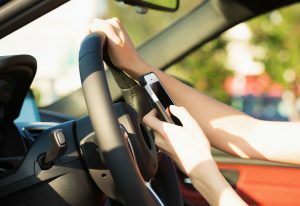 In a texting while driving accident case, it is necessary to prove the other driver drove distractedly the time leading up to the crash. One way to do this is to secure written statements from witnesses who observed the accident. The sooner they can jot down their recollection of the events that unfolded, the more accurate their statements will be. These statements will provide vital support for your claim. Alert the prosecutor that you were hurt. A driver ticketed for texting and driving may hire a lawyer to plea the ticket down to a lesser offense. You can ensure the other driver is held accountable for texting and driving by notifying the prosecutor that the accident he or she caused led to your injuries. Hire an accident attorney in Brooklyn to deal with the other driver’s insurance company. 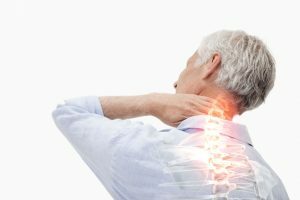 Representatives from the liable party’s insurance company will likely contact you soon after the accident to seek information that they can use to reduce your settlement. While you are recovering from your injuries, it’s best to allow a competent and experienced lawyer take over all interactions with insurers. The dedicated personal injury lawyers with Cellino & Barnes have decades of experience helping people navigate car accident claims. We are available 24/7 to discuss the details of your texting and driving accident in Brooklyn. Call us for a free consultation. NEW YORK – The fact that millions of car accidents take place each year might make us feel like there is nothing we can do to avoid accidents; yet, statistics like these should push us to try even harder to improve our driving skills and pay more attention to the road. 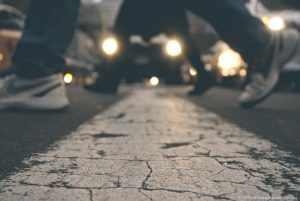 Car accident lawyers in Manhattan say if we all drove like we did during our driver’s test, we could see a significant reduction in fatal traffic accidents in New York City and New Jersey. 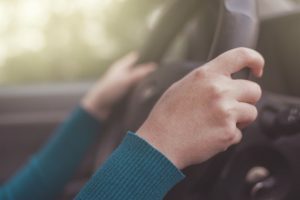 According to car accident lawyers in Manhattan, Distracted driving is one of the top driving behaviors contributing to traffic incidents and fatalities. In 2015, the National Highway Traffic Safety Administration (NHTSA) discovered that 10% of all fatal crashes and 15% of all injury crashes, and a total of 14% of all reported motor vehicle traffic crashes, involved driver distractions. In body counts, there were 3,477 people killed and an estimated additional 391,000 injured in crashes involving distracted drivers. This one should be a given, particularly for anyone hoping to avoid a traffic ticket. If you abide by all traffic laws, you can protect yourself and others. Driving defensively requires that you pay attention to the behavior of others on the road. For fractions of a second, notice how those around you are driving. If you see a person swerving in and out of lanes due to driving while texting, keep your distance. Look a bit further ahead every now and then to look for signs of sudden braking or other hazards. When you drive defensively, you position yourself to react appropriately to unexpected hazards, thus avoiding a crash. When was the last time you scheduled an oil change or replaced your tires? If it seems like a long time ago, it may be time to take your car back to the shop. New tires and brakes are crucial in providing the power you need to avoid crashing into cars making sudden stops. Regular maintenance ensures your vehicle works as the manufacturer intended. At Cellino & Barnes, we understand that not every accident can be avoided. 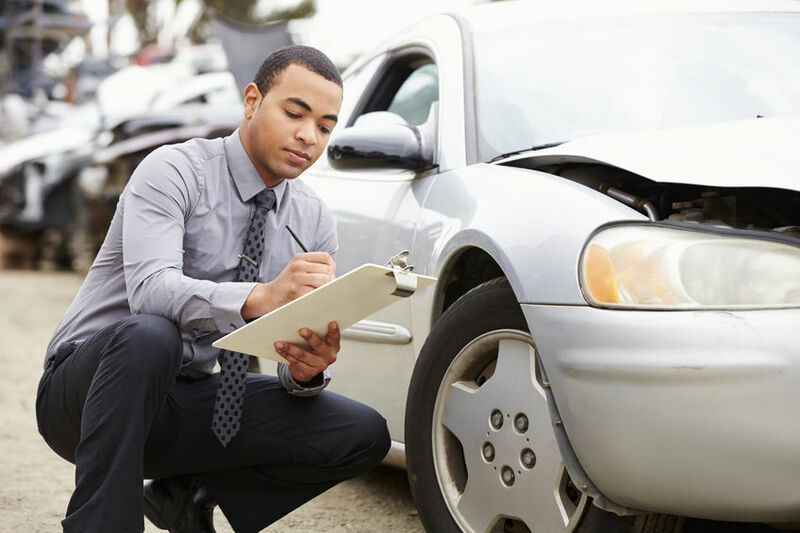 Our car accident lawyers in Manhattan will guide you through every step of the personal injury claims process to help you recover the compensation you deserve for your injuries, lost wages, pain and suffering, and more.